I was a voracious reader as a kid. If my mom could have waved a magic wand and had an unlimited supply of books appear in our living room for a flat fee of $10 a month, I’m sure she would have jumped at the chance. Thanks to the iPad and a subscription service called Epic, my kid can gorge himself on children’s books until the cow jumps over the moon. Epic launched its iPad-only app in late 2013, and on Thursday announced an agreement with HarperCollins, Epic’s 25th publisher, and the second of the “big five” to sign on to the service, along with Simon & Schuster. This will add another 1000-plus books to Epic’s library, including Amelia Bedilia, The Chronicles of Narnia, and books by Beverly Cleary, Neil Gaiman, and Lemony Snicket. Those books aren't in the Epic app just yet—the company says it’ll take a few weeks to get them formatted and loaded. When you download the free Epic app, which works on iPad 2 and later, running at least iOS 6, you can sign up for a free one-month trial to kick the tires before you subscribe. You don’t need a credit card for the free trial either, so hats off to Epic for that. 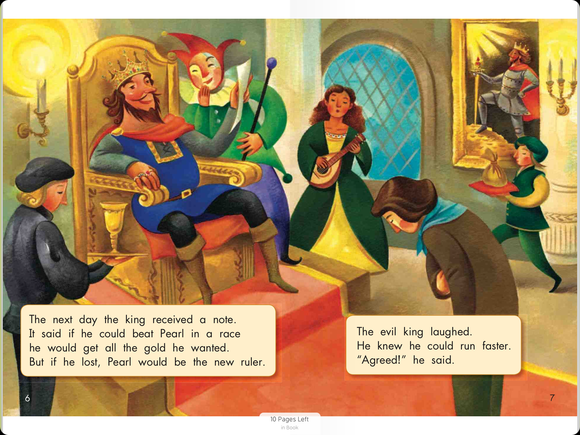 Epic's books range from picture books for little kids to chapter books for older readers, and graphic novels too. Parents get a profile, where they can set up and manage profiles for up to four kids. 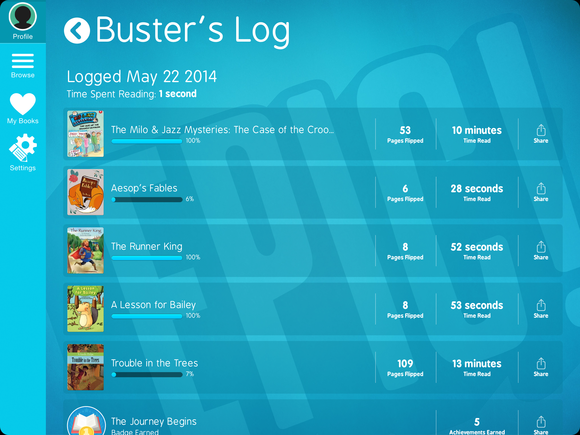 Here you can see how many books each kid has read, how many minutes, total pages flipped, and when they last read. Minutes read is probably the most useful of these stats, since the books range from picture books you can whiz through in 30 seconds to longer chapter reads for kids up to age 12. Drilling down into a child’s profile, the parent can also see exactly which books the kid has read, how much time they spent with each one, and badges they’ve earned. The badges are adorable, a great way of gamifying reading for the kids. Of course, kids earn lots of badges by simply reading books, but also by customizing their profiles and using the app’s other features, like rating a book or adding it to their favorites list. Besides earning badges, reading books unlocks extra options for customizing your profile: extra avatars, patterns, and themes. Parents can see how much their kids are reading, which books they're looking at, and all the badges they've earned. This is a reading app for reading—the books aren’t animated, and they don’t read the story to you. All you can do when reading a book in full-screen mode is zoom in and out with a finger-pinch. If you tap the top of the book, it goes back out to the control page, where you can drop in a bookmark if you aren’t going to finish the book all at once. While the selection is large and mostly decent, it’s set up for general browsing more than finding something specific. You can isolate age groups, and scroll through Netflix-like categories such as Mysteries, Sports, Nonfiction, Fantasy, Picture Books, and so on. There’s no search function, since chances are everyone would search for Harry Potter, which Epic doesn’t have (yet?). The Olivia series is completely gorgeous. Still, it would be nice to see all the Olivia books in one place. Or if you happen to select a book from the Boxcar Children series, the app could offer to start you from the very beginning, if you haven’t read those books before. 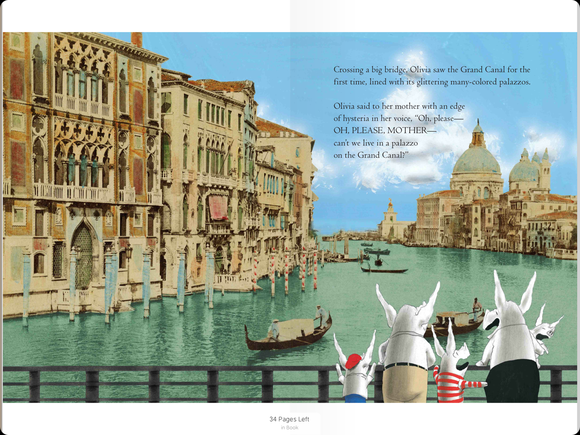 When kids get to the end of a book, a big Finish Book button appears, and when you press it, a satisfying Completed! animation will play. Or at least, it’s supposed to. If you skipped or scrolled through the book without spending enough time to actually read it, the button will say you have to read more before you can mark the book as finished. (So no cheating!) And sometimes even if I read the whole book, tapping the button would instead kick me back out to the control screen, and I’d have to tap back into the book and try the Finish Book button again. 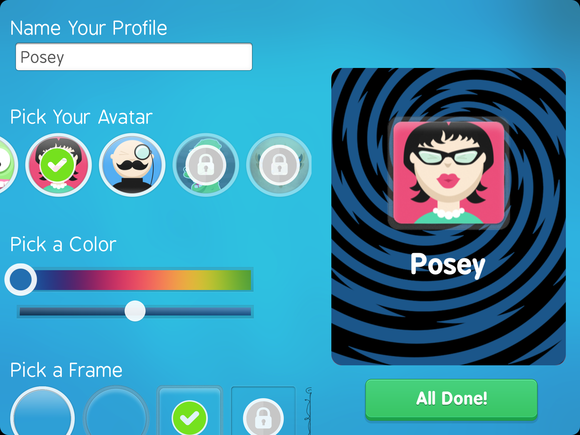 Kids can trick out their profiles with avatars and patterns that they unlock by reading more books. When I tapped on the sharing options while signed in with a kid’s profile, I wasn’t prompted for my Epic password either, just a four-digit birth year that proves I’m an adult—and that’s just way too easy for kids to spoof. Switching to the parent profile does require the account password, so Epic should stash the settings and sharing options there. No pictures in Aesop's Fables? Say it ain't so! Some of the books you'll remember from your own childhood are sadly unadorned. For example, the classic Rikki-Tikki-Tavi by Rudyard Kipling has an age recommendation of 6 to 8, but it’s entirely without pictures. The font is about what you’d expect from a Kindle book for adults, and with just black justified text on stark white pages, the presentation is so boring that the story loses a little magic. 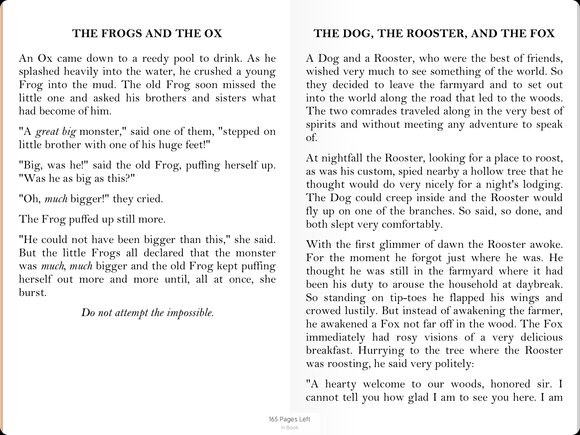 And I don't think I've ever seen a children’s edition of Aesop’s Fables without illustrations before now—Epic suggests it for ages 3 to 5, but it’s just 179 pages of text, not a single drawing or picture. These are definitely outliers, however. Most of the catalog looks just like you'd expect children's books to look on paper. Parents of kids 4 to 12 who have an iPad should definitely check out the free trial, and if it gets your kids to read more, the monthly price is worthwhile. With a growing library and active app development, the service should keep improving over time. As for the public domain classic without any pictures, those could always come in handy when putting your kids to sleep.